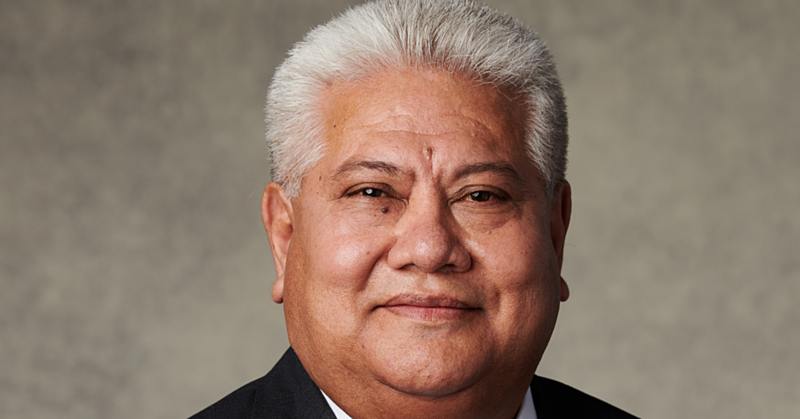 The Office of the former Head of State, His Highness Tui Atua Tupua Tamasese Efi, has denied reports he has agreed to speak at a Samoa Solidarity International Group (S.S.I.G.) protest in Savai’i planned for this Saturday. 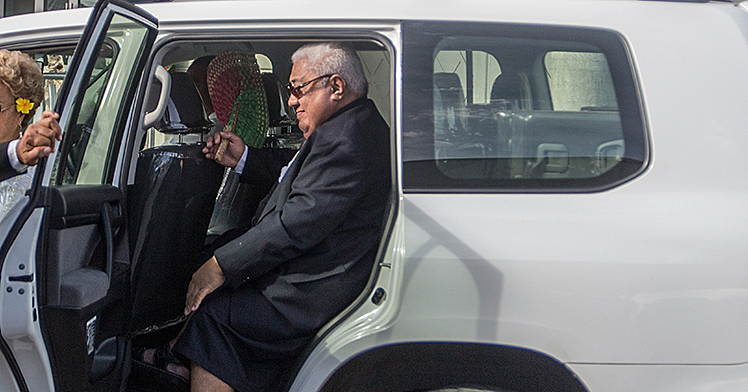 Contrary to a post on the Group’s website, which was immediately circulated on social media yesterday, His Highness Tui Atua’s Office last night moved to distant themselves from it. “The report is not true,” a spokesperson for the former Head of State said. The spokesperson declined to elaborate. 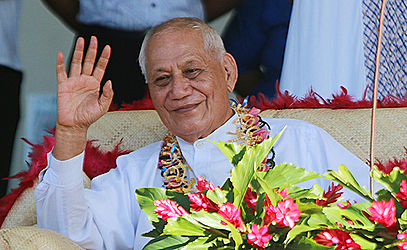 But the announcement was made in a post under the headline “His Highness the former Head of State Tui Atua Tupua Tamasese will speak at the Savali o le Filemu march in Salelologa Savai’i” posted on SSIGglobal.com. “S.S.I.G. 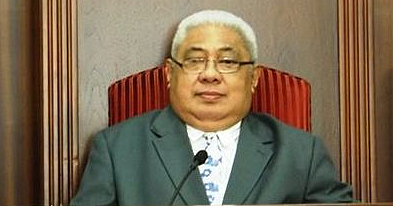 Global Samoa has received great news,” the announcement reads. “His highness the Honorable Tama Aiga, le Tui Atua, Tupua Tamasese Efi, former Head of State, has said he will be speaking at the Savali ole filemu in Salelologa, Savai’i this coming weekend, April 7, 2018." Yesterday, the Land Transport Authority (L.T.A.) confirmed that it has granted the request for by S.S.I.G. for peaceful protest march in Savai’i. This was confirmed by L.T.A. Chief Executive Officer, Ta'atialeoitiiti Tutuvanu-Schwalger. The peaceful march in Savai’i aims to raise awareness and to inform the public about the threats on Samoa’s customary lands via the L.T.R.A. 2008. Initially Unasa Iuni Sapolu, a member confirmed their group has already submitted a request to the Ministry of Police for a license to peacefully march in Savai’i. However last week, Police Superintendent Auapa’au Logoitino Filipo told the Samoa Observer the letter was sent to the S.S.I.G. to seek authorization from L.T.A. to use the road in Savai’i. “The law states that only the use of the main beach road that the Commissioner of Police has the authority to issue a permit to march,” explained Auapa’au. According to the Tutuvanu-Schwalger on the 23rd March 2018, L.T.A. received a letter of request for permission from the Samoa Solidarity International Group to hold a peaceful march. “I have dispatched this letter of request to our L.T.A. Savaii Division at Salelologa with our approval of S.S.I.G.’s request." Pertaining to the march, Unasa said the law that makes titles other than customary land titles paramount is bad law and should be repealed. S.S.I.G., she added, is about peacefully raising awareness demonstrating the belief that our customary land is not safe. “Our fanua fa’aleaganuu or fa’asamoa is under grave attack by money interest,” said Unasa. In December last year, a similar march was held in Apia, where about 300 people attended led by Samoa Solidarity International members, lawyer Unasa Iuni Sapolu, former Member of Parliament Leota Su’atele, and Papali’i Titiuatoa Malietoa.